Story: A haunting tale of adventure and dreams, Peter Pan has thrilled audiences around the world since it premiered on a London stage 100 years ago. But J. M. Barrie's classic story of the boy who wouldn't grow up - and the girl whose family insists that she must - has never been fully realized onscreen. Until now. Universal Pictures, Columbia Pictures and Revolution Studios are proud to present the first live-action feature film version of Peter Pan since the silent era. 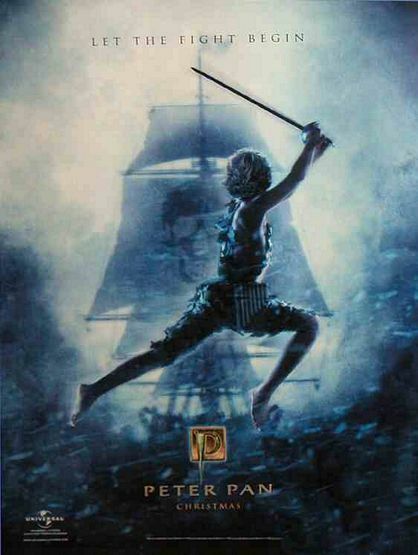 And for the first time, a boy - Jeremy Sumpter - stars in the title role, opposite Jason Isaacs as Captain James Hook. In stifling Edwardian London, Wendy Darling mesmerizes her brothers nightly with bedtime tales of swordplay, swashbuckling and the fearsome Hook. But the children become the heroes of an even greater story when Peter Pan flies into their nursery one night and leads them over moonlit rooftops through a galaxy of stars to the lush jungles of Neverland. Wendy and her brothers join Peter and the Lost Boys in an exhilarating life free of grown-up rules, while also facing the inevitable showdown with Hook and his bloodthirsty pirates.